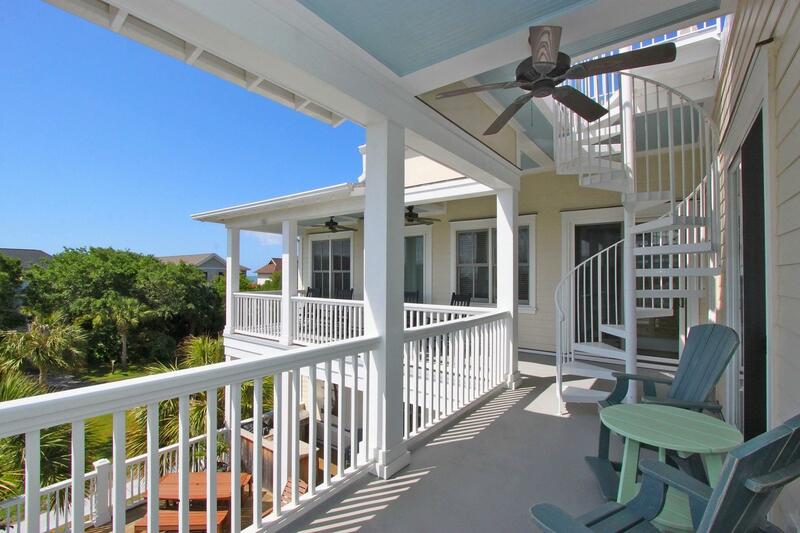 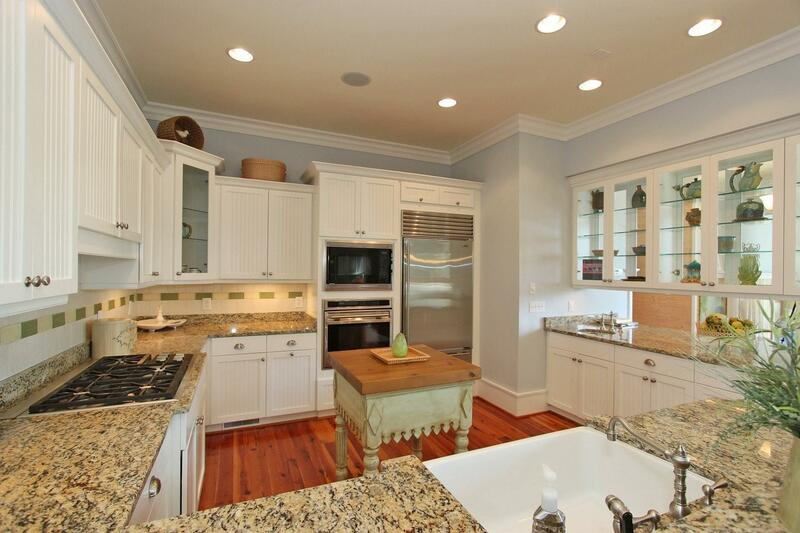 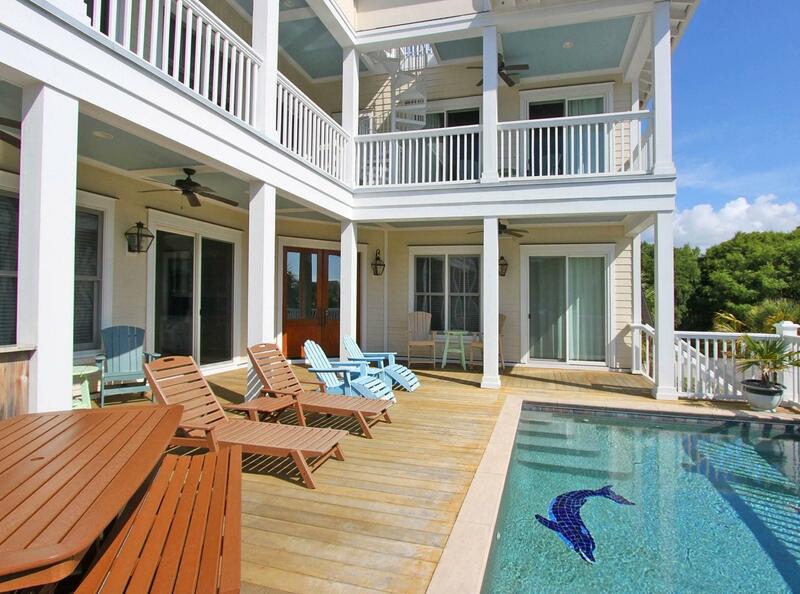 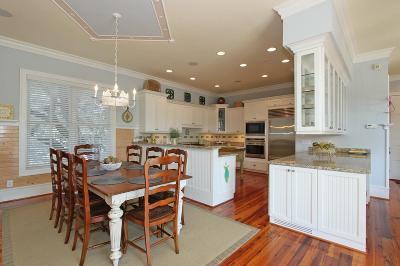 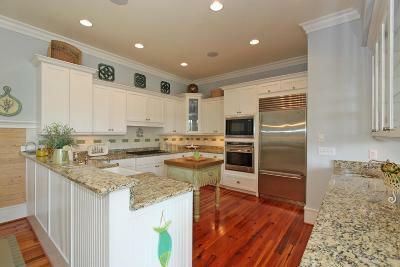 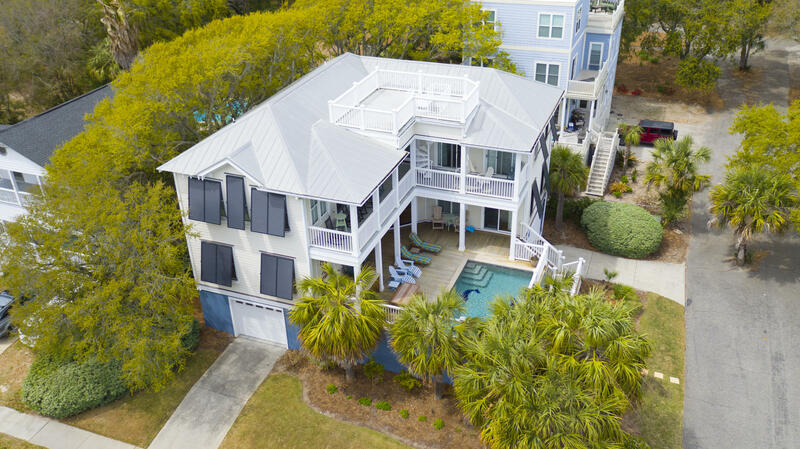 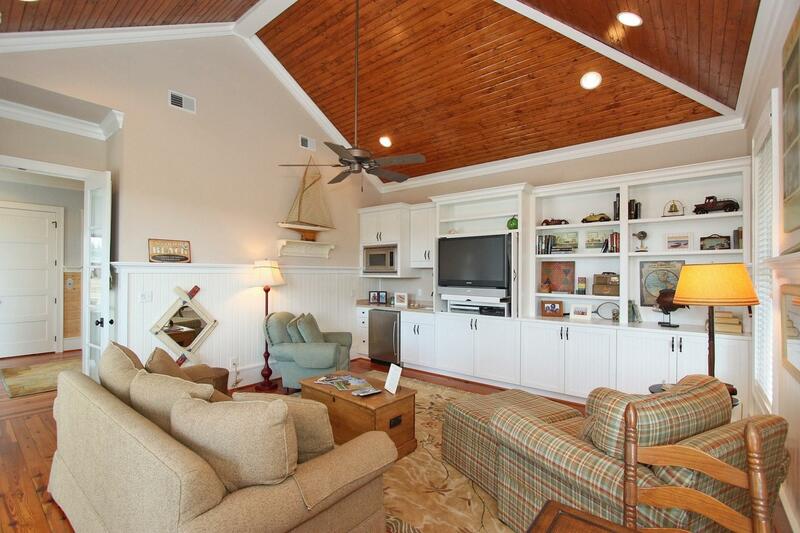 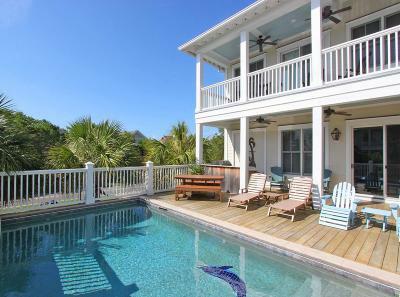 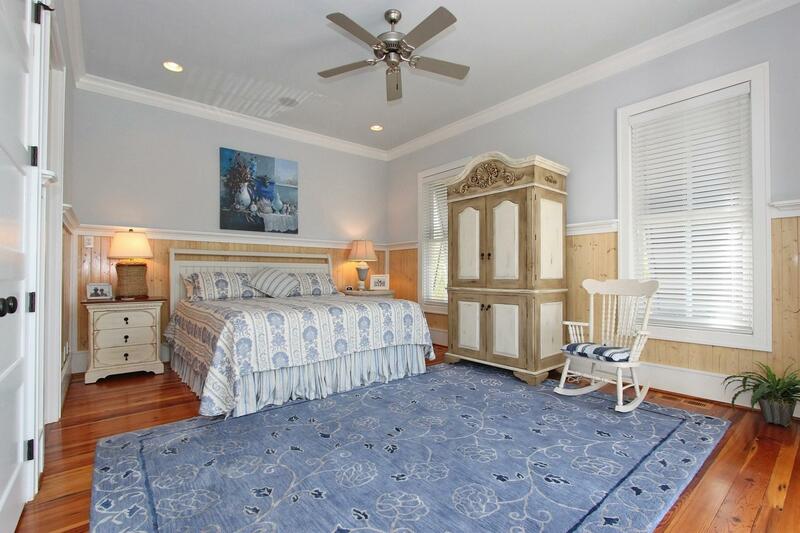 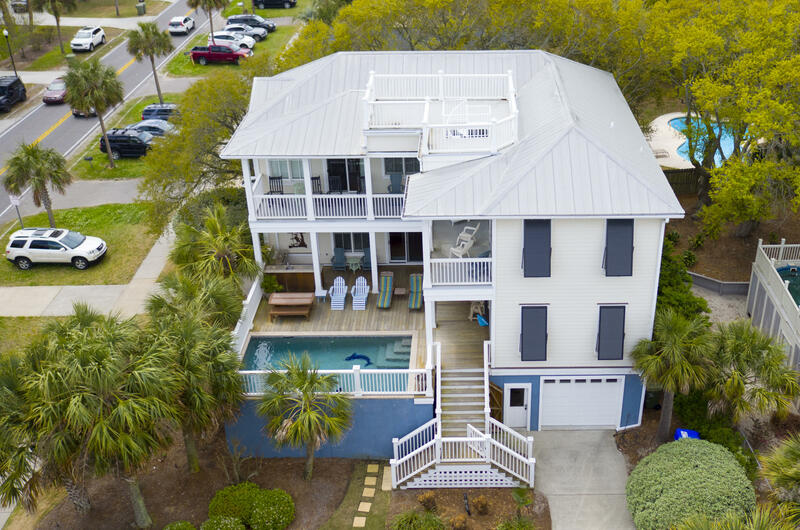 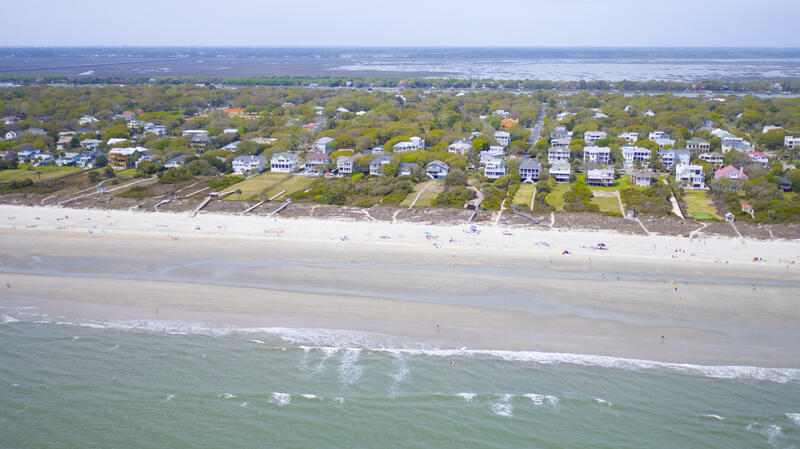 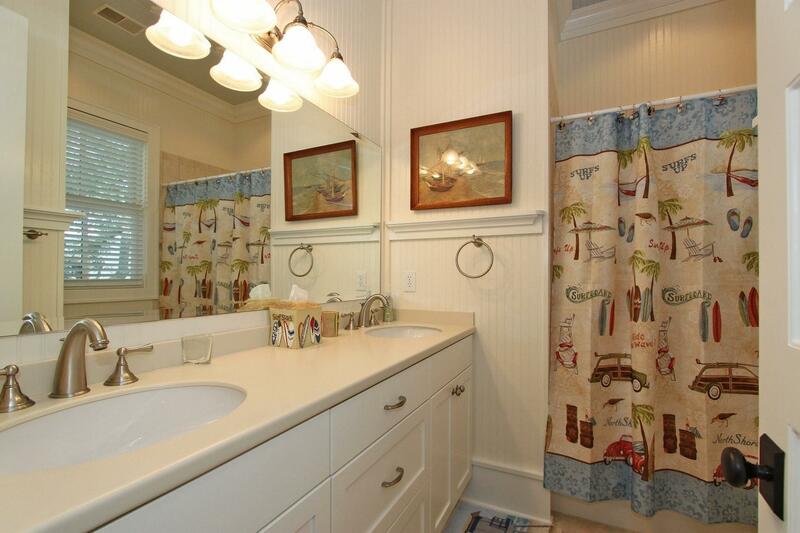 Classic, Timeless Custom Beach Home on the Isle of Palms. 1 Palm Court is a custom designed 5 bedroom 5 and one half bath home. 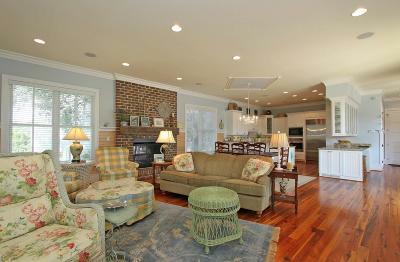 True heart pine floors, open floor plan, designer kitchen, mahogany doors, elevator, elevated pool and roof top deck! The kitchen is equipped with upgraded appliances (Dacor and Subzero) and as a plus two bosch dishwashers! 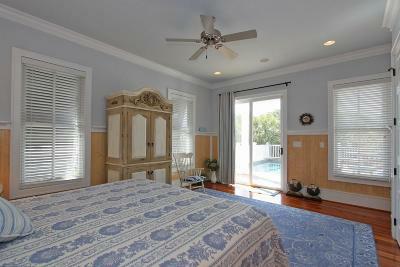 The house offers two master suites. The first master suite offers access to the pool deck and features bead board walls. 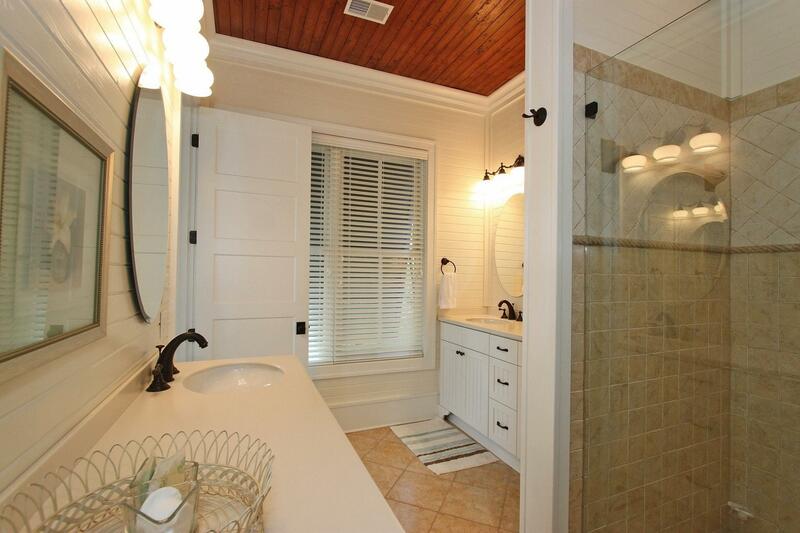 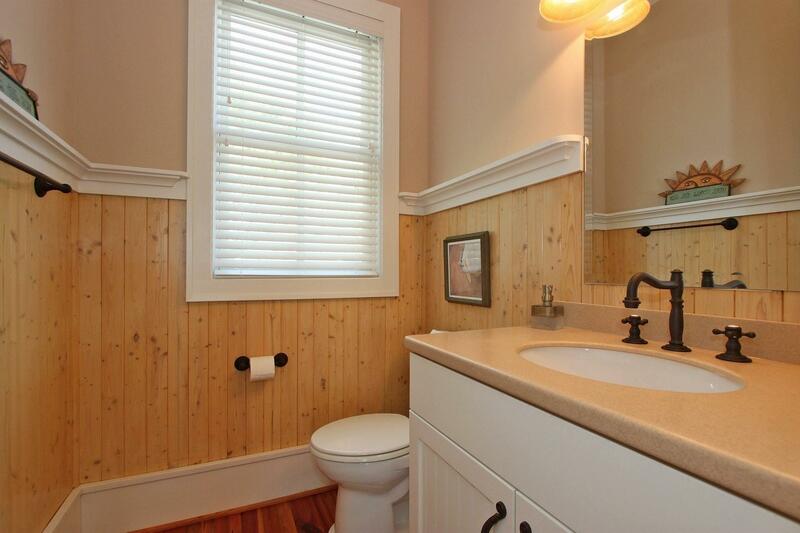 The master bath has a large walk in shower with custom tile finishes. 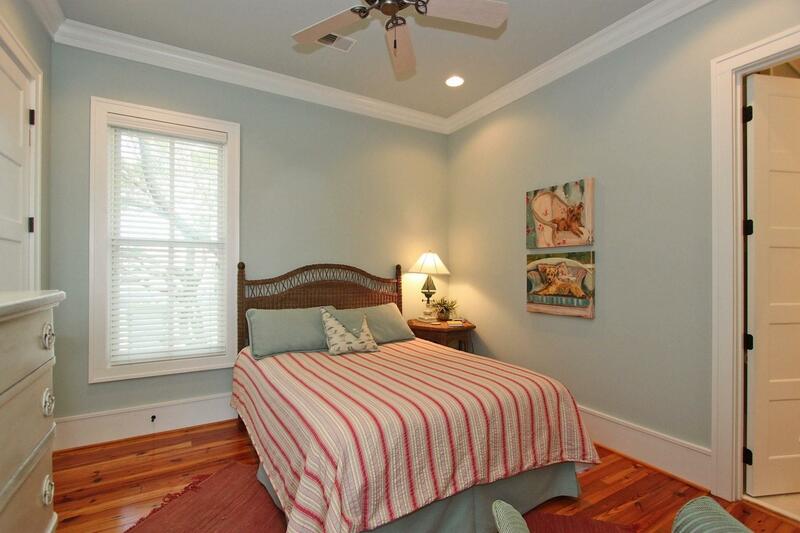 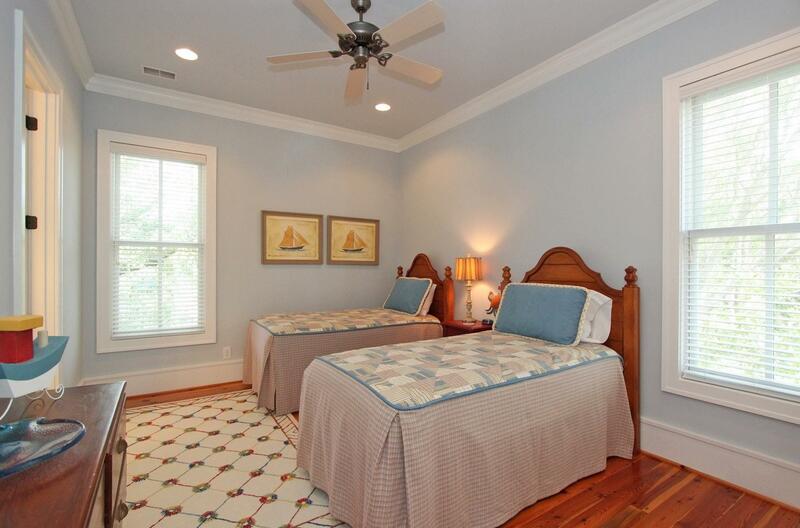 The second guest room is also located on the first floor with a full bath adjoining the bedroom. 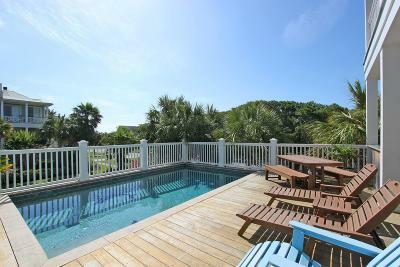 The elevated pool and large deck surrounds the exterior of the first floor. 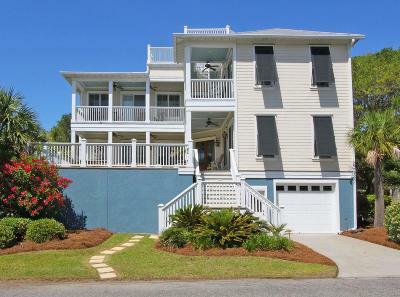 There are 3 bedrooms on the second floor. 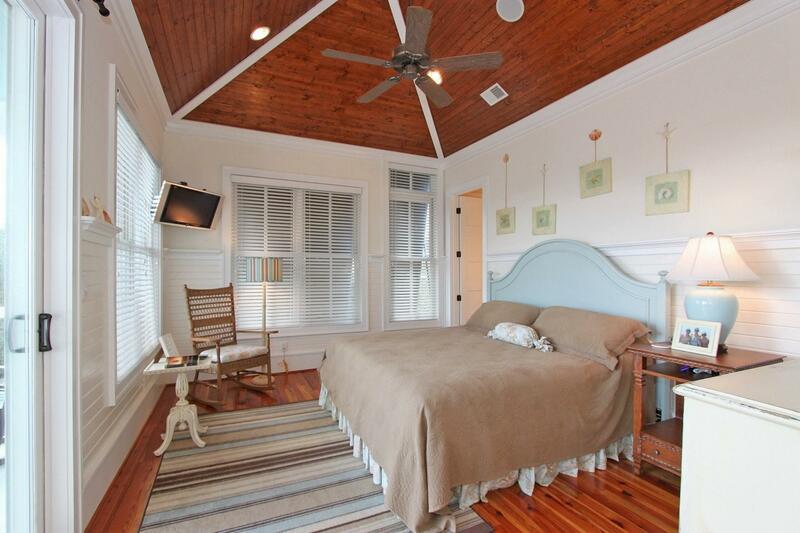 The second master suite faces the ocean. 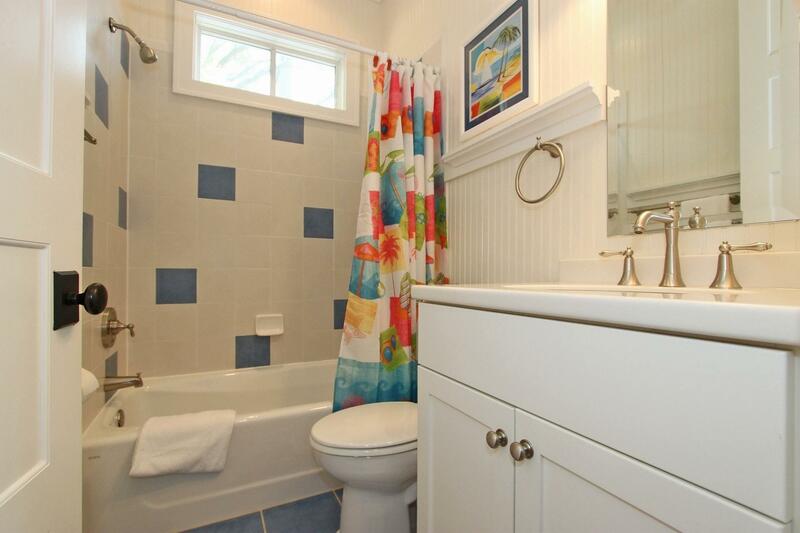 The bath offers a custom tiled walk in shower. 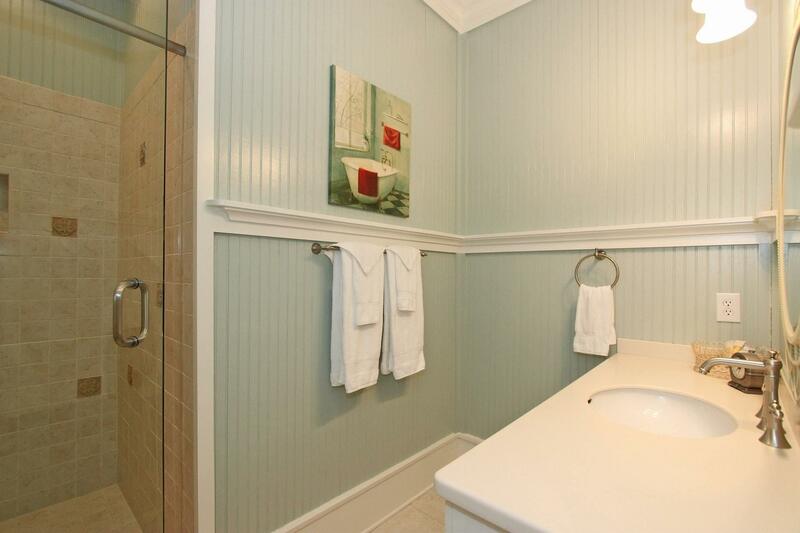 There are two guest rooms with private baths. 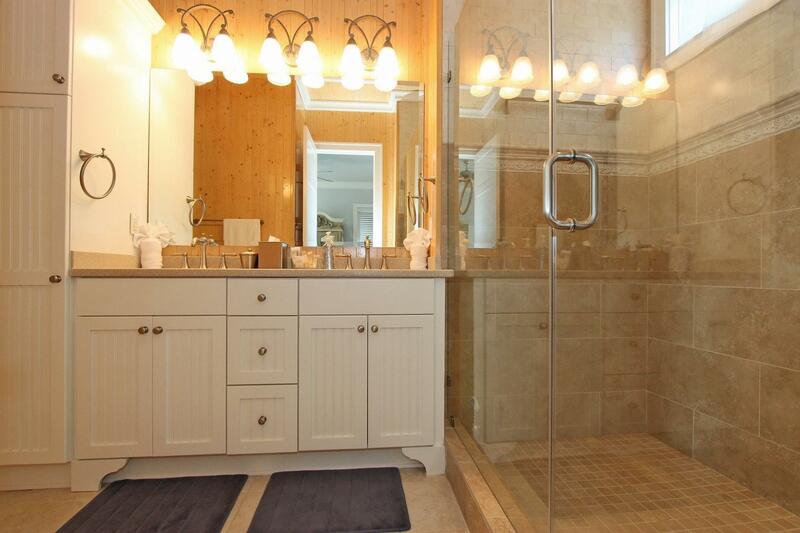 The first offers a custom bath with a tiled walk in shower. 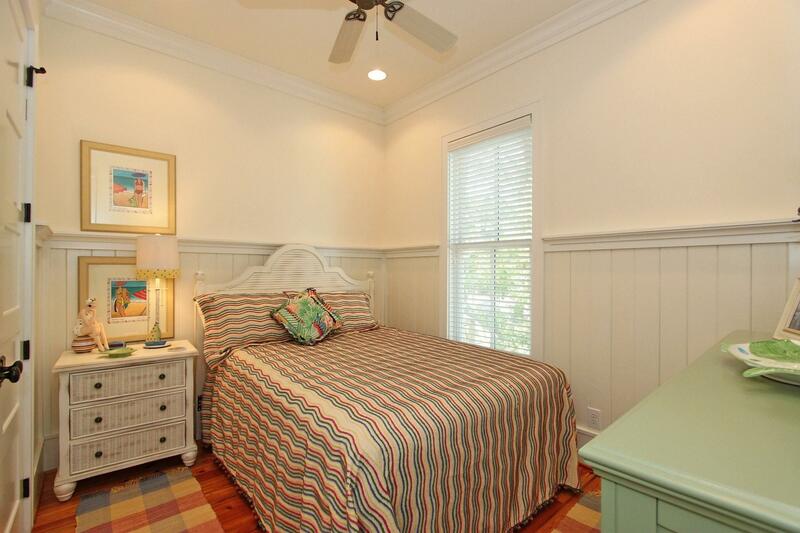 The kid's room features twin beds and a tub shower combination. 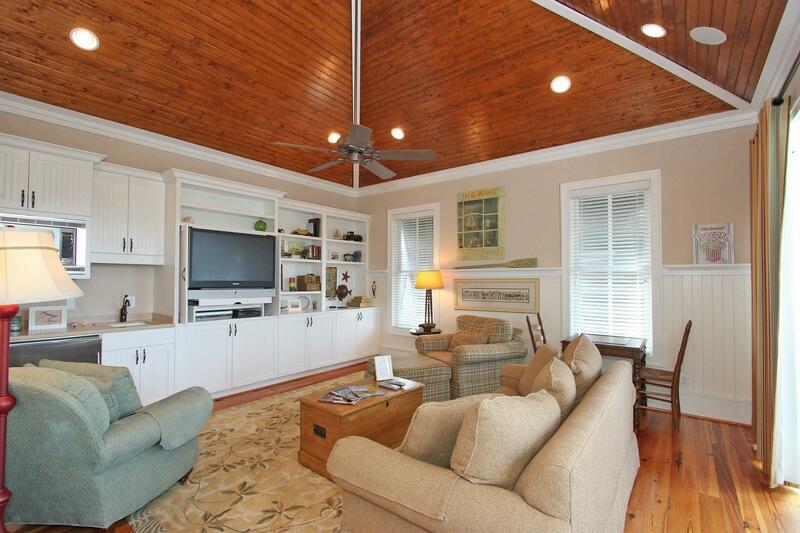 A large media room with vaulted wood ceilings opens onto the covered deck. 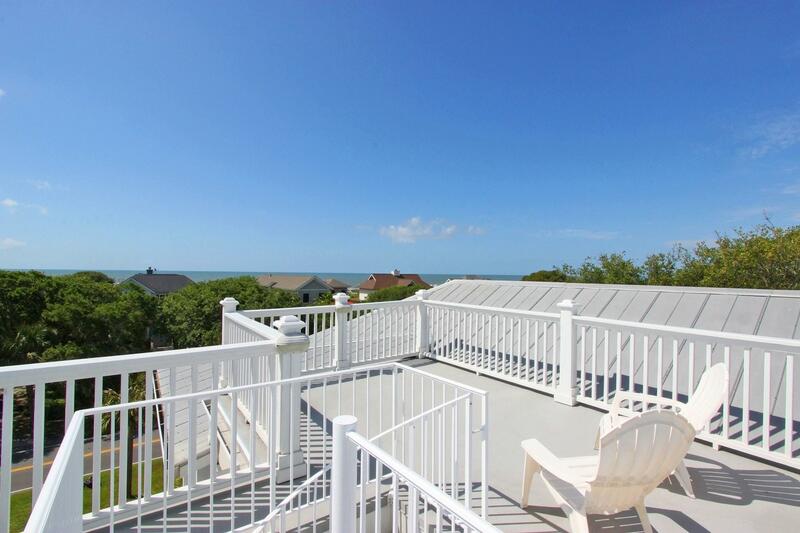 Access to the roof top deck is offered through the spiral staircase. 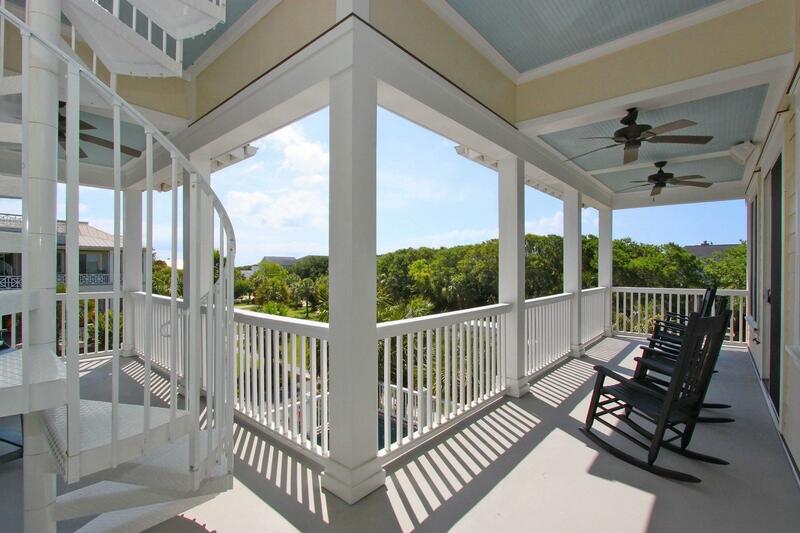 Elevator service is provided from the garage level to the second floor. 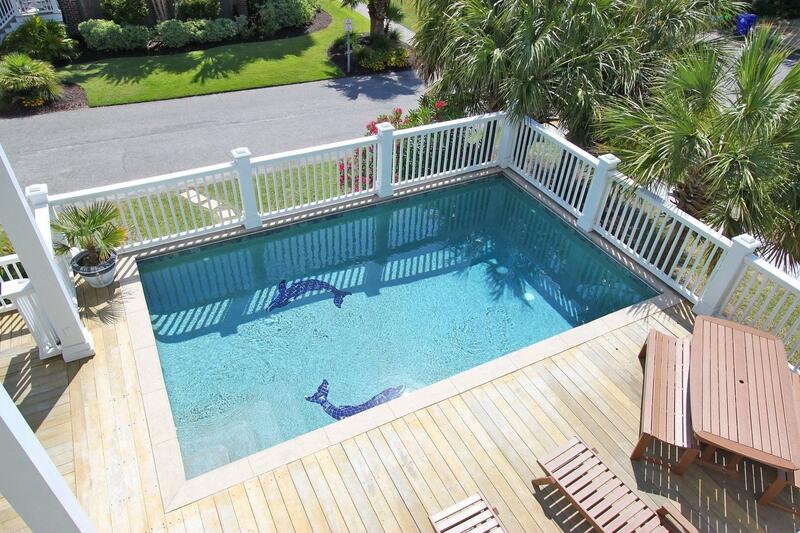 Rental history available.